Carlos Ghosn, the former chairman of Nissan, has been hit with further criminal charges, the Independent reported. The star executive was charged with breach of trust on Friday, according to the Tokyo District Court, having been re-arrested over the claims in December. Following his initial arrest on 19 November last year Mr Ghosn, 64, was charged with falsifying financial reports by underreporting his income by about 5 billion yen ($44m, £35m) over five years up to 2015. Mr Ghosn, fellow Nissan executive Greg Kelly, and Nissan as a legal entity were charged on Friday with additional underreporting of income between 2015 and 2017. Mr Ghosn’s lawyer said he would request his client be released on bail. His detention period for the breach of trust allegations was due to expire Friday. Mr Kelly and Nissan were not charged with breach of trust, an allegation which centres on Mr Ghosn’s handling of investment losses and payments made to a Saudi businessman. Mr Ghosn denies the charges. Criminal suspects in Japan are often held for months until trials start and prosecutors in Tokyo say Mr Ghosn, a Brazilian-born Frenchman of Lebanese ancestry, is a flight risk. Earlier this week Mr Ghosn told a Tokyo court he was innocent in his first public appearance since his arrest, and appealed for his detention to end. But the court rejected the request. He said the compensation was never decided on, the investment deal never resulted in any losses to Nissan, and the payments to the Saudi businessman was for legitimate services related to dealers and investments in the Gulf. Mr Ghosn, who appeared much thinner than before his arrest, came down with a fever the day after his court appearance, but has since recovered, his lawyer Motonari Ohtsuru said. His wife, Carole Ghosn, issued a statement overnight from Paris, expressing concern over his sickness. Apart from prosecutors, only embassy officials and Mr Ghosn’s lawyers are allowed to visit him. Such visits were cancelled on Thursday but resumed on Friday. Before his sudden downfall, Mr Ghosn was a respected figure in the global auto industry, having rescued the Japanese carmaker from near-bankruptcy and built its sales operations and profits and pioneered ecological vehicles. Nissan says an internal investigation began middle of last year after whistleblowers came forward. Ethics officials at Nissan’s alliance partner Renault SA of France concluded this week that financial compensation to members of the French automaker’s executive committee in 2017 and 2018 was fraud-free. 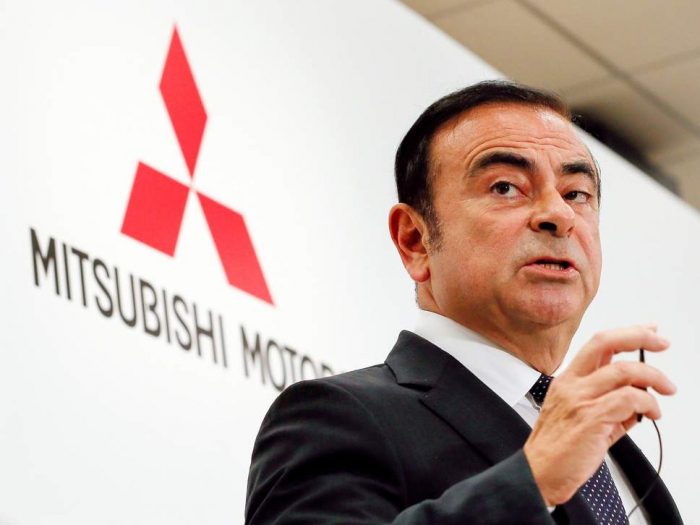 The review was initiated after Mr Ghosn was arrested. Mr Ghosn remains CEO of Renault.